Have you ever wondered what SEO is? In basic hunter terms think of Google, AOL, Yahoo, and companies like Bling as different parts of the world wide web, the forest that your website is in. The SEO is a bait pile that you have to attract the action or visitors to your website. 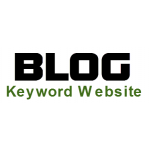 You will need the right bait, keywords, to draw in your visitors. When you hire Gun Dealers U.S.A. to sight in your SEO you are hiring an elite team of professionals get the job done behind the scenes. People look for "Tasers" 6600 times a month. We could write content on TASERS and add this to your website. People Look for "Tazer" 18,100 times a month. We could write content on TAZER which would be better than Tasers because it's being seached 12,100 times more each month. "Pepper spray" is searched 49,500 times a month and is a great one to market also. "Mikes Sporting Goods" is searched 260 times a month. If you own Mike's Sports Shop you need a lot of help. It's our job to get Mike some action if Mike wants to grow his business. Everyone goes to the internet to find people, places, and things. They do this to .. FULLY LOADED PACKAGE 30 DAY BUDGET / BLOG CONTENT & SEO. &..
We takeall your products on your website and fill in the meta tags, keywords and tage your images..
Website Builder with basic website hosting is unlike anything you’ve ever experienced. Our drag..
Give up the domain name you want to render and we will do the rest. 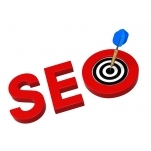 1 Time SEO Boost - 150+ Q..